The single-serve coffee market has many choices of coffee machines, but Green Mountain Coffee Roasters has become the leading seller over the past ten years in the U.S. While there are a few single-serve coffee machines on the home brewing market, Keurig remains a leader in this competitive category. How did Green Mountain Coffee Roasters go from a small coffee company in Waterbury Vermont, to a major coffee company? Bob Siller founded Green Mountain Coffee Roasters in 1981. As a coffee company their focus was on specialty coffee. In 1986 GMCR introduced the first organic coffee, which was distributed throughout grocery stores in the New England area. In 1998 the Keurig coffee company was founded and approached GMCR to create the first K-Cup for use in the Keurig coffee machine. The initial focus of Keurig was to create a coffee machine for use in business offices, eliminating the need to measure ground coffee and use filters to brew coffee. In 2006 Green Mountain Coffee Roasters purchased Keurig and the required patent for K-Cups. The patent is a key element in the profits obtained from the Keurig due to the licensing fees paid to GMCR to create K-Cups. The competition in the single-serve coffee market includes the Tassimo by Kraft, the Nespresso by Nestle, and the Senseo by the Sara Lee Corporation. Each of these coffee machines function like the Keurig with pre-measured packets of coffee. The Tassimo uses what is called a T-Disc, and the Senseo uses coffee pods. In 2008 Keurig successfully sued Kraft for 17 million dollars for patent infringement. The previous version of the T-Disc used a design that was too similar to the K-Cup. One key reason that Keurig is the leading single-serve coffee machine is the variety of K-Cups available. Currently there are over 1,000 varieties of K-Cups available from brand names such as Timothy’s World, Emeril, Gloria Jean’s, Newman’s Own, and Tully’s. Many of these varieties are listed on the WeGotCoffee site in the K-Cup Section. In March of 2011 Starbucks partnered with Green Mountain Coffee Roasters to manufacture Starbucks K-Cups. The announcement of the agreement increased the value of the stock for both GMCR and Starbucks. The Starbucks K-Cups are scheduled to be released and sold in the Fall of 2011. As part of the agreement Starbucks will also sell the Keurig machines in their stores along side the Starbucks K-Cups. One would expect Starbucks to have a functional Keurig in stores so that customers who are new to the Keurig can sample coffee made from the single-serve machine. The trialability of the Keurig K-Cups inside Starbucks will undoubtedly increase sales of both the machine and the required K-Cups. Dunkin Donuts K-Cups were added in February of 2011 and will be available for purchase in August. The addition of Starbucks in the line of K-Cups increases GMCR’s market share. To further increase their reach the Keurig also has tea varieties, which includes Twinings, and Celestial Seasonings. Recent television commercials highlight the ability of the Keurig to brew iced tea, which expands on the benefits of the consumer owning their own single-serve machine. In April of 2011 GMCR added Swiss Miss cocoa to their line of K-Cups to increase the usability of their Keurig machine for consumers. Green Mountain Coffee Roasters has become a leader in the single-serve coffee market by first introducing the Keuring in business offices and then offering the machines for home use. To further their market share GMCR have continued to add value to the consumer owning a Keurig coffee machine by introducing additional K-Cup varieties to further attract coffee and non-coffee drinkers. I believe this continuous innovation will help Green Mountain Coffee Roasters maintain and increase their lead in the single-serve coffee market. Gasparro, Annie. “Green Mountain to Sell Starbucks for Keurig System.” FoxBusiness. March 10, 2011. Dow Jones Newswire. 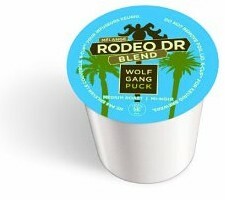 April 22, 2011. http://www.foxbusiness.com/industries/2011/03/10/green-mountain-sell-starbucks-keurig. Baertlein, Lisa. “Green Mountain lands Starbucks for single serve.” Reuters. March 10, 2011. April 22, 2011. http://www.reuters.com/article/2011/03/10/us-starbucks-greenmountain-idUSTRE72928J20110310. Munarriz, Rick Aristotle. “Let’s Ground Some Bears”. The Motley Fool. January 6, 2010. April 21,2011. http://www.fool.com/investing/high-growth/2010/01/06/lets-ground-some-bears.aspx. Becker, Nathan. “Green Mountain To Sell Swiss Miss K-Cups, Boosting Single-Serve Offerings”. SmartMoney. April 21, 2011. Dow Jones Newswire. April 22, 2011. http://www.smartmoney.com/news/on/?story=on-20110421-000457. Green Mountain Coffee Roasters. 2011. http://www.gmcr.com. April 22, 2011.